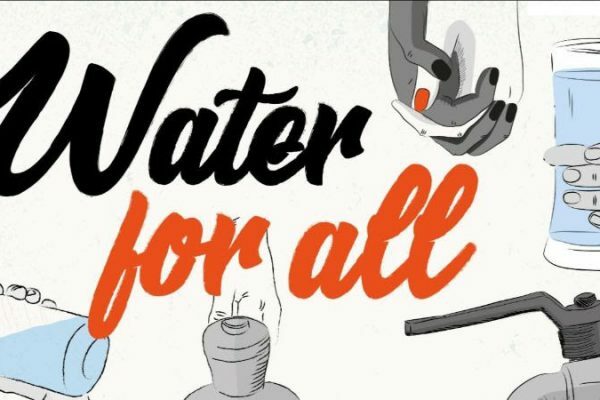 The Australian Water Partnership (AWP) recently participated as an industry partner in The University of New South Wales (UNSW) ‘The Maker Games’— an industry prototyping competition where students work in cross disciplinary teams to solve real-world industry challenges of their choice. As an industry partner, AWP submitted a challenge brief posing an issue to students. 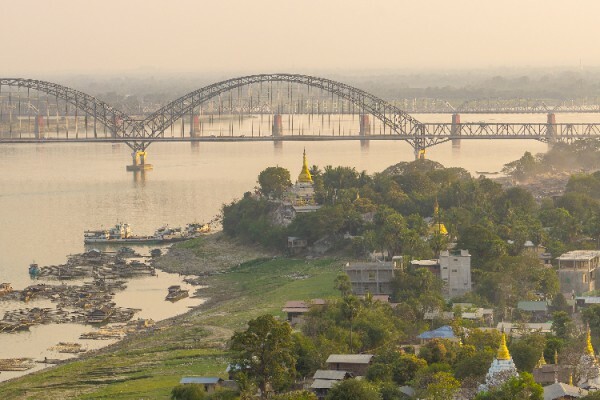 The challenge described the issue of flash flooding in Chin State, Myanmar, and the need for a village-level early warning system to identify and broadcast flood events to downstream villages, allowing them time to safely evacuate. As one of the poorest regions of Myanmar, climate induced disasters such as flash floods have a significant effect on livelihoods in the region and these impacts could be mitigated with an effective warning system in place. The issue of flash floods is a long-standing one that devastates many communities in Myanmar, especially in the degraded hills of Chin State. Every other year hundreds of people are affected. Despite its seriousness, it remains an entrenched problem because there are no simple solutions and real solutions need an integrated approach. Teams responded to the challenge by submitting short proposals in the form of video clips outlining their ideas. Based on these proposals, AWP then selected Team Riveract to progress to the next round and create a working prototype. 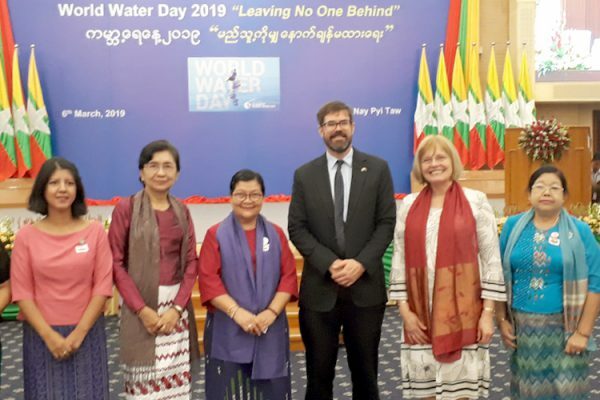 ​AWP’s former Myanmar Coordinator, Tarek Ketelsen, who posed the challenge and provided mentoring throughout the prototyping process, said that Team Riveract stood out for its proposal to utilise publicly available weather data and social media to provide six hours’ notice to people in flood-prone villages in Myanmar. 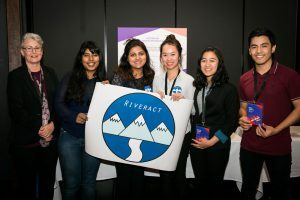 Team Riveract – comprising students Rianna Bernal, Elijah Esmero, Jialuo Ke, Shravya Manchanda, and Supujitha Reddy Veluru – had three months to work directly with Ketelsen to create their working prototype, and was ultimately highly commended by the judges for its design at the Final Showcase at UNSW’s Round House on 22 October, where they demonstrated their prototypes to industry and mentors. AWP Knowledge & Partnerships Manager Dr Marian Neal with Team Riveract. Using Facebook as its key warning channel, the system transforms real-time satellite weather data into a flash flood probability. If the probability exceeds a critical value, a warning would be issued to the people of Chin State using Facebook, which is the most commonly used social media platform in the area. Because the system operates remotely, it does not require sensors or a technician to be located on-ground in the region. This is a key advantage as the area has limited accessibility due to the surrounding mountainous terrain. The final project summary report submitted by Riveract describes improving of flood warnings systems as a multifaceted issue, comprising technical, operational and social aspects. It explores successful early warning systems in India, Brazil and Indonesia which use this approach to provide a result that is both collective and efficient. Along with Riveract, 13 other teams proceeded to the final phase of the Maker Games. The winning team created a robot that cleans and paints a navy ship while in dry dock, and the winners will be flown to California’s Silicon Beach – the tech hub of the western beach suburbs of Los Angeles – where they will spend a week networking with leading engineering and design organisations. The UNSW Maker Games will run for the third time in 2019, with submissions currently open to interested industry partners until 8 December.